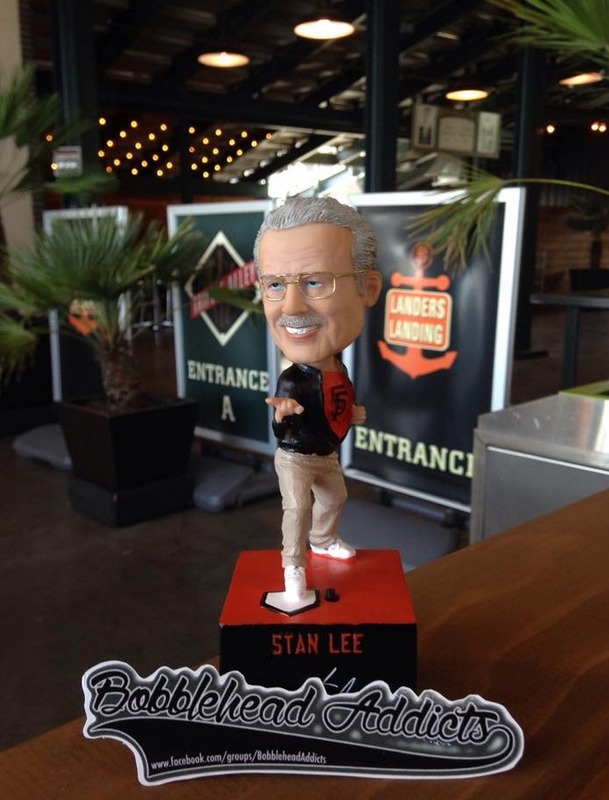 The Giants are proud to welcome back Stan Lee, the genius behind the Marvel empire, for a third consecutive year participating in a special pre-game VIP experience in the Triples Alley Premium Space at AT&T Park! Lee will be on-hand at this exclusive VIP pre-game party and sharing his knowledge and stories from his renowned career in the comic industry! Each VIP-ticket holder will receive admission to the Triples Alley Premium Location 3:35-5:35 p.m., complimentary food and beverage (including beer and wine), a Superheroes and Comics-themed item, a limited-edition Stan Lee bobblehead with a soundchip, only available to ticketholders of this VIP offer, and a custom print from the creative direction of Stan Lee, himself! Unlike any other ballpark setting, this on-field space is the perfect place to enjoy all of the pre-game excitement at the ballpark. Triples Alley, the Giants newest premium location, has it all, including on-field access from which to watch batting practice, early access to the ballpark, and at the conclusion of the pre-game event, a walk along the warning track on the field to get to your seats for the game.